Kurukshetra University, Kurukshetra, Is Appointing Eligible & Interested People To The Post Of Clerk (Budgeted). So Interested Can Apply For This Job Through Online Mode, Within The Given Time Period. 198 posts of Clerk(Budgeted) →198 Vacancies, Kindly Do Check Out The Images Below For Age Limit, Educational Qualifications, Important Dates, Application Fee Structure & More. B. 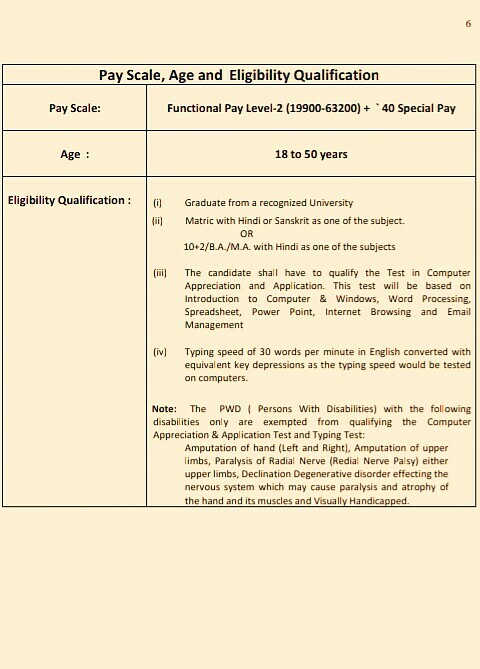 Eligible Criteria For Kurukshetra University Clerk Recruitment 2019. Age Limit →18 To 50 Years. Educational Qualifications →(i) Graduate from a recognized University (ii) Matric with Hindi or Sanskrit as one of the subject. OR 10+2/B.A./M.A. with Hindi as one of the subjects, For More Details Check Out The 1st Image Above. Mode Of Examination/Selection Process →Type Test on Computer, Computer Appreciation and Application Test, Aptitude Test and Academic Qualification. Online Application/Examination Fee →Check Above The 2nd Image. Last Date For Online Application Form Submission →15th Of May, 2019. Tentative Examination Date →Check Out The 3rd Image Above. For More Info →The Official Website Of Kurukshetra University, India. 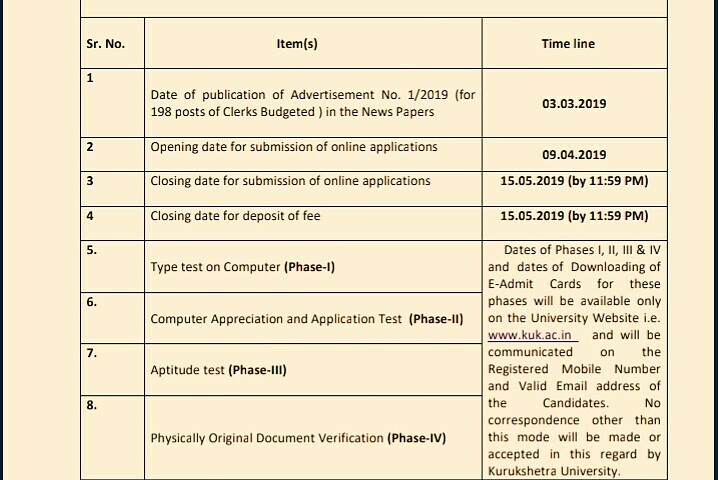 Now Apply For KUK Recruitment 2019 Check Job Vacancy.